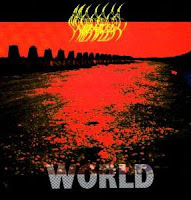 Extreme metal only slowly oozed into Japan without any significant wider attention. Most of the earliest bands stayed in the depths of unferground and reached only the most obsessed metal fanatics. Similar to most Japanese bands, Multiplex was pretty good in practising abstraction. Even if they were determined to play in an exact style, the direct musical influences of other bands would be hard to mention. It's clear that their music is the mix of death metal and grindcore, but the features that referring to others are missing. They created an own possible approach of the genre, which gave them (and to Japanese bands in general) a lot of credit in genuineness. 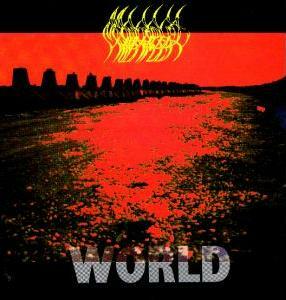 "World" is a quite raw and experimenting album, with a wide range of themes. It sounds like the band tried all possibilites how to play death/grind, but not at the ordinary way, because their music lacks completely the simple, punk influenced features of grindcore. This weird, very raw heaviness represents a less known, but interesting experiment the style of death/grind.